One discovery during the ProWine Asia 2016 was a booth exhibiting wines from Russia, Kuban-Vino Winery. 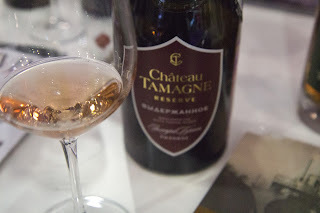 It carried a good range of wines from sparkling, still whites and reds, to sweet wines under its Chateau Tamagne wine label. 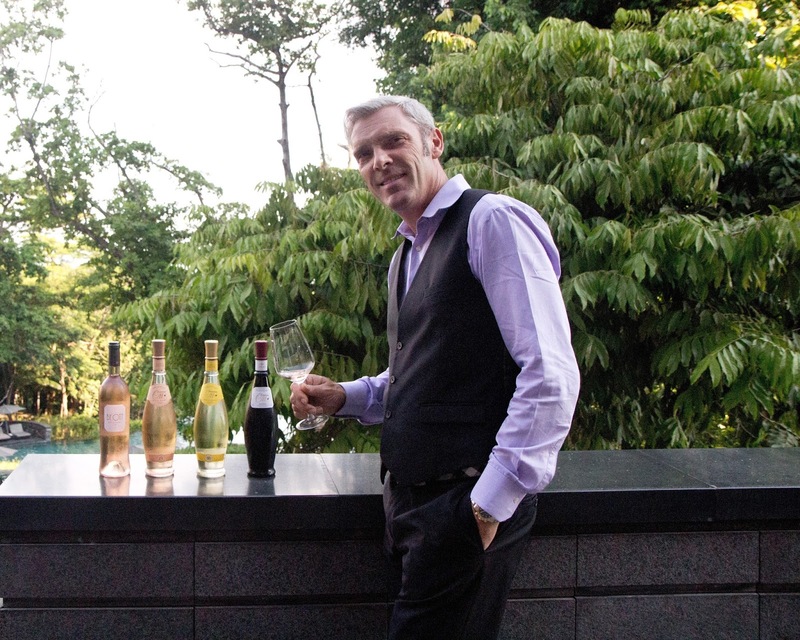 Though sparkling wines from Abrau-Durso (located near lake Abrau) can be found in Singapore in recent years, it’s certainly difficult to get one’s hands on still wines produced from Russia. 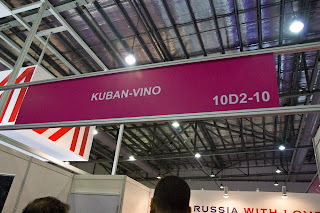 And not all ‘Russian wines’ are products of the land either. Wines in Russia have been known to be made from bulk wines imported from other wine growing countries (meaning they are imported into Russia, undergo flavour adjustments to suit local palate and get bottled and labelled as wines from Russia for local consumption). 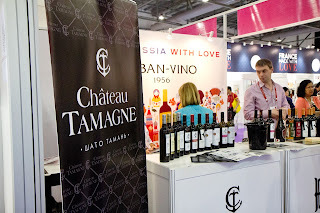 Recent years however has witnessed some shift by local undertakings going the way of increasing vine plantings, viticulture and vinification within Russia itself, using local and international grape varietals. 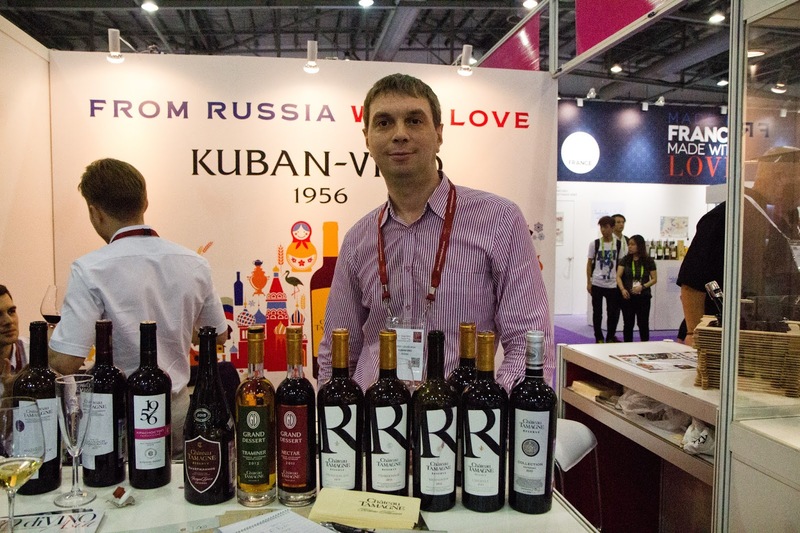 The representative at the booth explained that Kuban-Vino had its origins in 1956. It’s located within the Taman Peninsula, in a village called Starotitrovskaya. 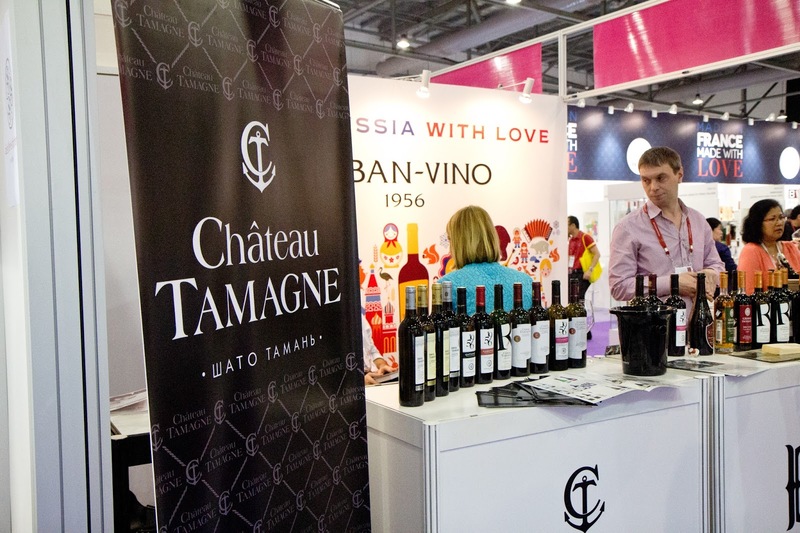 Reaching its 60 years of existence, it has over the years grown into one of the larger wineries in Russia, in terms of viticultural land, vinification capacity and range of product offerings. Investments in modern winery equipments imported from abroad and embracing wine production techniques from other countries have resulted in improvements in quality of wine production and aging of wines. At present slightly more than a 100 types of wines are produced for local and overseas consumption under this winery. The Chateau Tamagne wine label is positioned as its premium brand. Different types of wines are produced under this label (including sparkling wines both done in Charmat and Traditional methods). The grapes used for production are grown within the region and the wines are produced by the winery itself (none of the imported bulk wine issues over here). 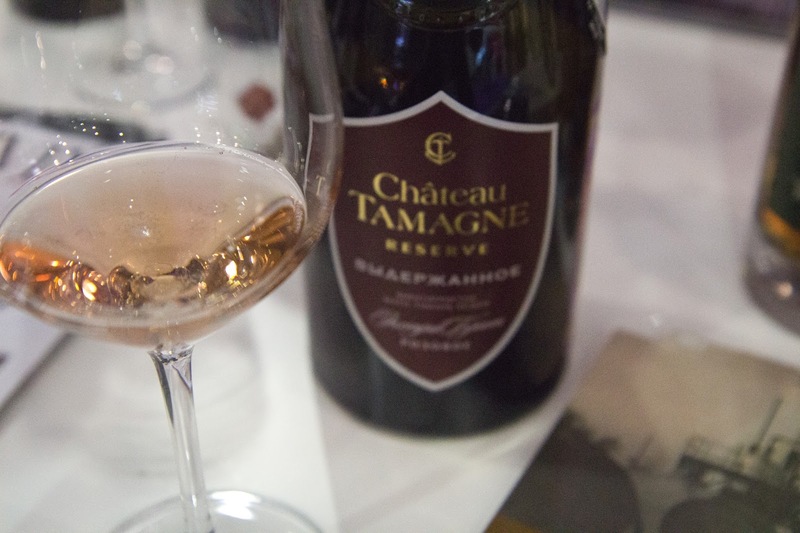 At the booth, the Chateau Tamagne Reserve Extra Brut Rose stood out for its quality, delicate body and flavours, and overall elegance. 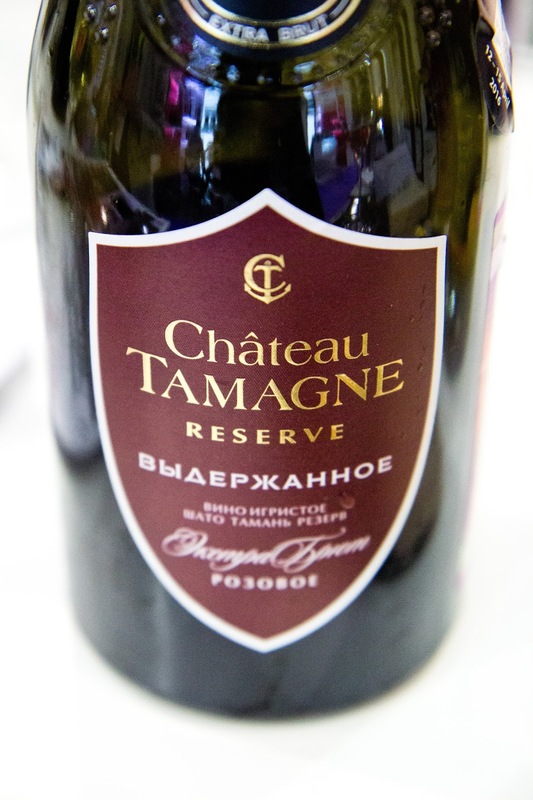 Made of Cabernet Blanc, Merlot and Saperavi, it showed what Russia can offer in terms of a quality sip. 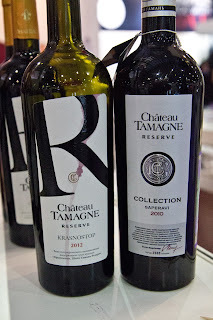 Among its reds, 2012 Chateau Tamagne Reserve Krasnostop and 2010 Chateau Tamagne Reserve Collection Saperavi stood out. Both had good fruit presence, depth, balance and smooth texture. 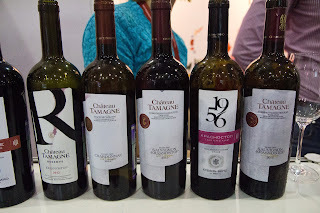 While the former (the Krasnostop varietal) revealed tannin highlights in palate, the latter (the Saperavi varietal) revealed the play of acidity in palate. 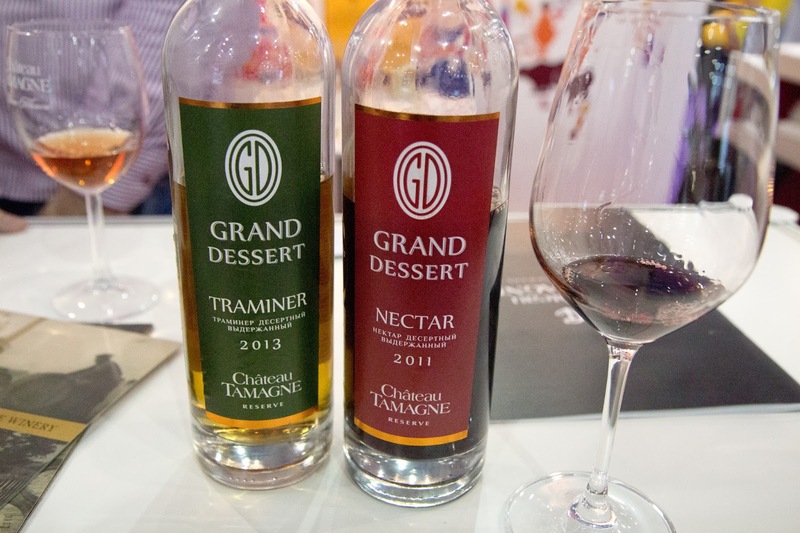 Showcasing the sweeter wines were the aged and fortified 2013 Chateau Tamagne Reserve Grand Dessert Traminer and 2011 Chateau Tamagne Reserve Grand Dessert Nectar. These being sweeter sips, I opted to taste them closer to the day’s end, but time just flew way… next time when opportune arises I hope. 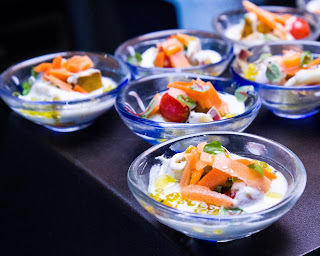 ... if you fancy something light, fresh and delicate. The launch of a new rose wine in Singapore. 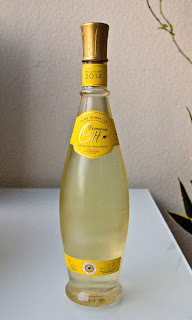 The wine is BY.OTT, Cotes de Provence 2015 (its first vintage and release to wine consuming folks around the world). The local representative (and organizer of this tasting) Grand Vin Pte Ltd, chose Capella (Singapore) for this event. 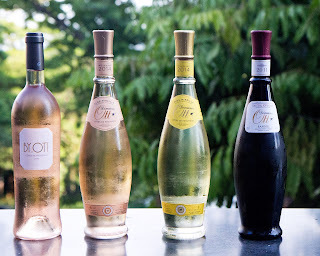 Held on a hot afternoon at an open air spot overlooking the pool and sea, the introduction of a new rose wine seemed a welcoming proposition and certainly a treat. 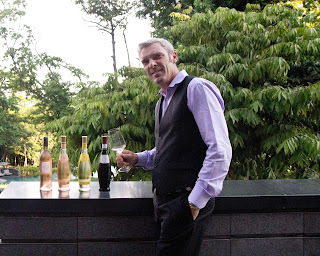 Christophe Renard (Director des Ventes) from Domaines OTT* was at hand to share about this latest rose wine and the Company that produces it..
Marcel Ott founded this Domaine back in 1912 with the purchase of Chateau de Selle in Tarandeau (near Draguignan, Provence). It being a post-phylloxera period, Marcel made it a point to replant the vines to ensure the quality of grapes for his wines. Cabernet Sauvignon, Syrah, Grenache and Cinsault varietals are grown here and used for its rose and red wines. The second estate, Clos Mirelle, was bought and replanted in 1930s. Located along the Mediterranean sea at La Londe Les Maures, Provence, it was bought in the 1930s and the vines were replanted as well. Grenache, Cinsault ad Syrah varietals are used to produce its rose wines; while Semillon and Rolle varietals are used for white wines. The third estate, Chateau Romassan, was acquired in 1956. Its located in the Bandol commune, found in the west of the Var department. The vines here were replanted as well. Mourvedre, Grenache, Cinsault and Syrah varietals are used for its rose wines; while Mouvedre, Grenache and Cinsualt varietals for its red wines. 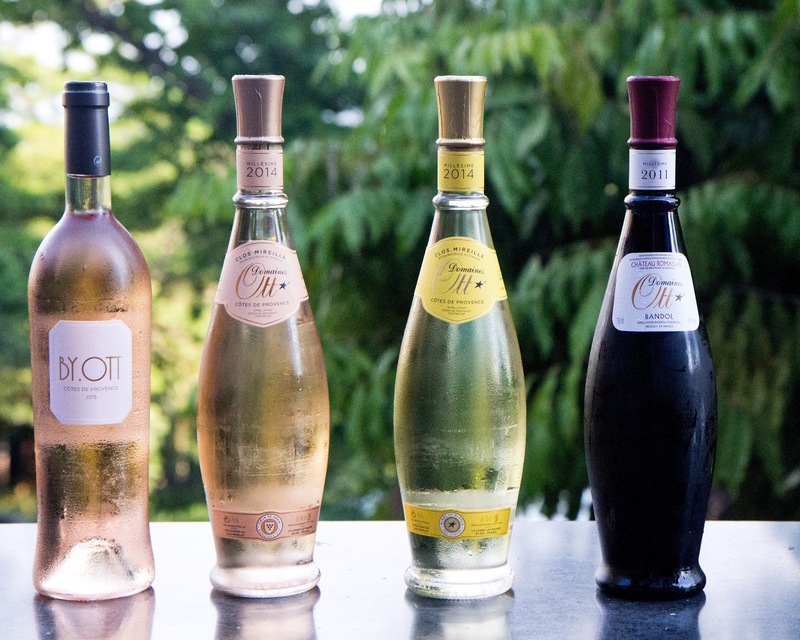 In 2004 Domaines OTT* joined the prominent Champagne House, Louis Roederer. At present it’s co-managed by Christian and Jean-Francois Ott (both cousins). In relation to this part of the world, Japan, Hong Kong, Singapore and Australia are it’s important markets. The BY.OTT rose wine is the latest addition to the wines of Domaines OTT*. It’s made in Chateau de Selle estate; however, it is not a product of this estate alone. 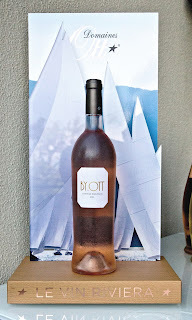 The ‘blends’ for this rose comes from Chateau de Selle, Clos Mirelle and 2 other selected growers form Provence as well. The aim, highlighted Christophe Renard, is to produce a rose which expresses fruit and freshness with finesse and elegance. The varietals chosen to aid this endeavour are Grenache (the main component) together with Cinsault and Syrah. This rose showed a clear wine in a light pink robe. Aromas of fresh cherry and hint of peach reveal on the nose. Palate was fresh and the first sip certainly refreshing. The delicate, light-plus body displayed youthful exuberance and flavours of red berries, citrus highlights and a hint of spice. Crisp acidity keeps the body playful and alife. It provided a pleasant, fresh finish; one much appreciated during the hot afternoon. 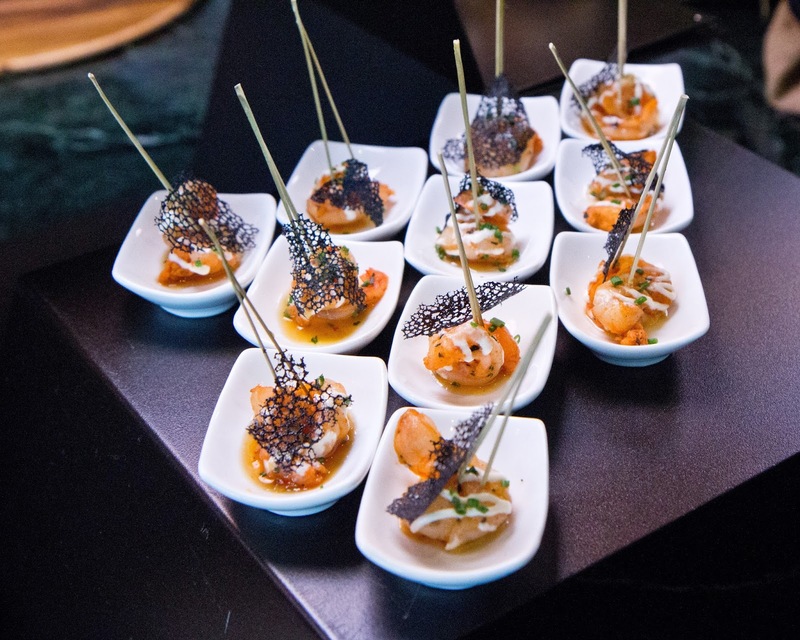 While all wines stood well on their own, I must say the 2014 Blanc de Blanc did well when paired with the tapas served during the afternoon. 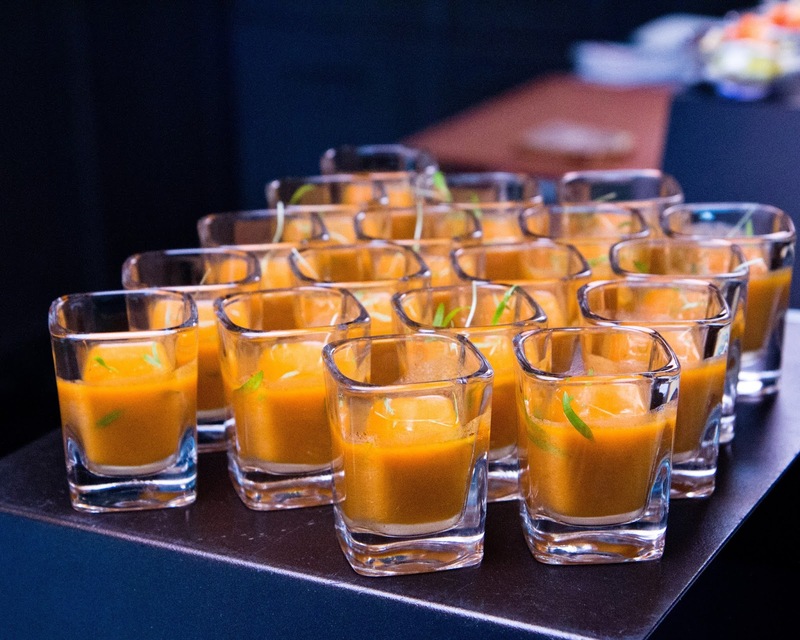 It was a youthful, lively sip with good flavours to enjoy, possessed a good structure to pair with food, offered balance in body, a smooth texture with a suppleness to add. Vibrant in palate, it possessed lively acidity which kept this wine fresh from first attack to finish.